Work continues at the Project as the shipwrights work on the frames. The frames (‘ribs’ to non shipbuilder types) will be hoisted atop the keel and will form the skeleton of the Mayflower. Once erected they will see her beginning to really take shape. 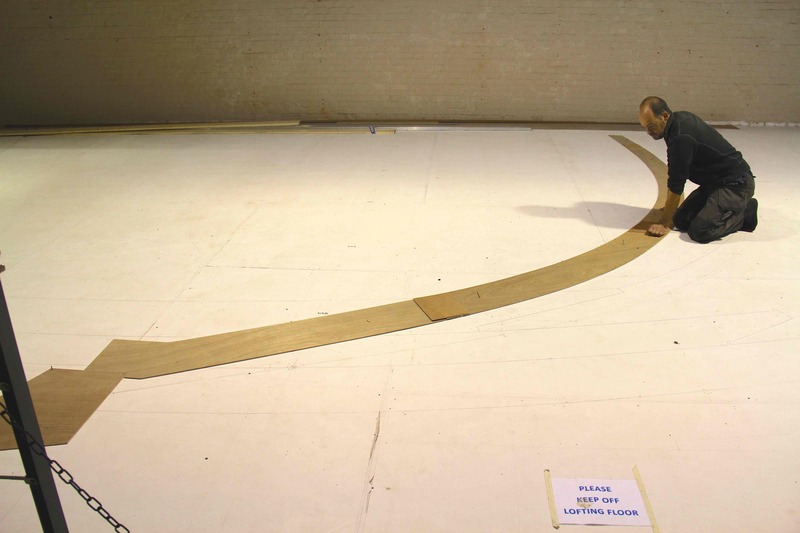 This picture shows Chris, one of the shipwrights, working on a template of a frame on the lofting floor. For those of you not familiar with ‘lofting’, please take a look at my earlier post on it. Photography and content: James Kelly.